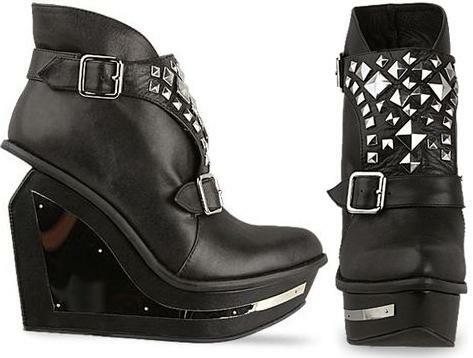 I'm not usually a huge follower of trends & had managed to steer clear of the Jeffrey Campbell 'Lita' band wagon. I had a brief encounter with the JC 'Exam' boots but when they sold out, I dried my tears and kept on moving. However, the Lita Spikes are a completely different story! To say I'm in love with these bad boys is an understatement... I've been throwing hints to my peeps for gift ideas as my birthday is coming up (Dec 13th). If someone doesn't buy them for me I am going to have to treat myself! I love the gold stud version of these too! Comme une ancienne marque de sport classique,Nike air max,Nike TN,Air Max pas cher toujours la poursuite de la parfaite élaboration et d'actualisation.